Welcome to French for Fun The City! 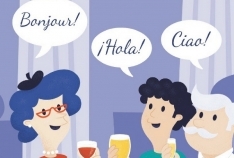 Lovely, lively French lessons for adult with Noelie will be coming soon to The City. To get in touch with our teacher and for more details, click the blue button. I am a native French speaker from Paris. I trained as a qualified optician. Now I teach french in a Primary school in london.